Vince wished for a new couch to relax and enjoy at home with his family. We granted his wish wish along with a few other surprises. Ricardo wished for a GoPro to capture his family memories and lots more. This was a fun wish that we granted at our 2014 Fall Event with our attendees getting the opportunity to be wish grantees. Ricardo loved his ride in the Limousine and all his wish gifts. Thank you to Secure Transportation for donating the Limousine for Ricardo and his family. Melissa wished to go to the Universal Studios. We arranged to surprise her at the Sheraton Universal with a night stay following with new clothes, laptop, and lots more. We surprised her with Universal Studios annual passes, so she can go as often as she wishes. Kimiko wished to go to the LEGOLAND Hotel and go to LEGOLAND. We arranged to surprise her at the Hotel and gave her lots of LEGO’S princess and friends along with Croc’s and Backpack. We surprised her with Merlin's Membership for an annual pass so she can go as often as she wishes. 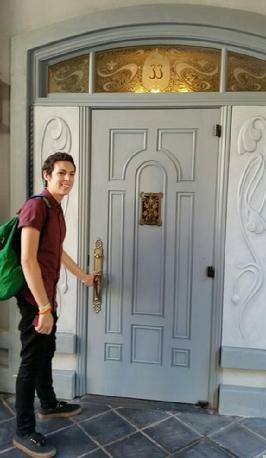 Zachary’s wish took 6 months to make happen because Club 33 was being remodeled. We surprised Zachary on his mom’s birthday for breakfast. OPH made their breakfast extra special and comp’d their meal and the manager and 5 servers totally got involved and worked with our volunteers to surprise Zachary. The staff was so friendly, helpful and happy to be involved, and made sure the seating was set up so he couldn’t see us. They were so excited to carry all his gifts to him; and even stayed at the table for a few minutes as he opened everything. He was surprised with a new laptop with MS Office along with a TV for his room and Blu-ray player and 5 DVD’s including Beetlejuice one of his favorites. Then he was surprised with a Select Annual Disney Pass and 3 tickets to take his friends with him. The last surprise was saved for Sunday two days later which was lunch at Club 33. He did the CHOC walk that day in the morning and then with his mom’s help they went to lunch as a surprise at Club 33 along with his 2 best friends. Zachary is a big Disney fan and loves to find all the hidden Mickey’s. We wrapped everything in his favorite color Red. Thank you to Peter Mitchell & Todd Ament for making Club 33 Possible. Uzair wished for a gaming computer system. We granted his wish with a new HP Envy CPU designed for gaming along with a special display, Mouse, Keyboard all for gaming. We also surprised him with the Wizard 101 membership gaming cards $60.00 along with civilization games he wished for along with a printer with ink and paper. We also surprised him with the new Xbox Game Disney Infinity Game of Marvel Super Heros. The last surprise was for a black hood sweatshirt without logos which we found with Nike and he liked it. Uzair’s family was all home to share in his wish and he loved all his gifts and repeatedly said Thank you. We wrapped everything in black and white his favorite colors along with matching balloons. Juan wished for a TV, Laptop, Stereo System, camera, bike and skateboard. We surprised him with everything he wished for with the help of his Aunt Sylvia. We also gave him a Subway $15.00 gift Card and iTunes $50.00 gift Card donated to GRANTS WISHES for him to do something more. We wrapped everything in his favorite color Blue. Penelope wished to go to LEGOLAND and stay at the LEGOLAND Hotel. We granted her wish with a surprise at the Hotel. Mom and Dad said they got lost and ended up at the hotel. Penelope kept asking if she could stay there. We greeted her and family with everything Lego taking her to their Pirate’s Room where she had to unlock the treasure chest with the clues given to them. We gave the family their season passes and purchased more LEGOLAND goodies that Mom thought Penelope would enjoy and the balance of the budget was given to the family in a gift card to use for food and fun at LEGOLAND. Dad is a Marine and was leaving in 4 days so they could come back and experience the waterpark on the weekend before he has to leave for 4 months. With the purchase of the Merlin’s Membership—Annual Pass they were given 5 guest passes. Penelope was excited that she could bring her grandpa to LEGOLAND. She was so excited and dancing. It was a great time for her and the family. Dania had a long wish list for lots of cool stuff including Michael Kors purse and watch. We surprised her at BJ’s Restaurant in Carlsbad with the help of her parents for lunch, they told her they were going to visit family in LA. BJ’s took care of their lunch and then we surprised her taking her shopping. We started at the Michael Kors store where she loved a purse and watch. Then we continued to shop for clothes, makeup and sunglasses. Last she shopped for UGG boots and we were able to surprise her with 2 pairs that she had wished for. Dania had a great day and went home with lots of shopping bags including and orange swim suit, clothes and more. Thank you to BJ's Restaurant in Carlsbad, Michael Kors, and Elephant Walk Outdoor Footwear for making Dania's wish extra special. 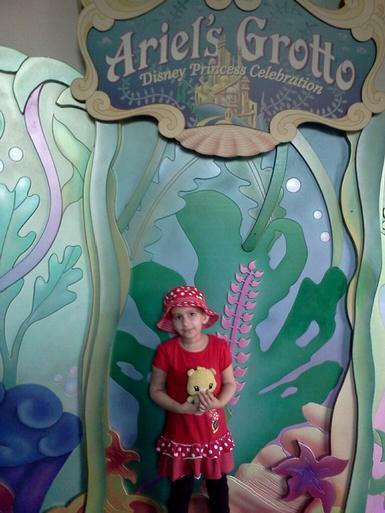 Alissia wished to go to Disneyland, stay in a hotel, see World of Color and meet princesses. We met Alissia and her parents at the Grand Californian Hotel located at the Disneyland Anaheim Park. Alissia received many gifts including: Three (3) two-day park hopper passes to Disneyland and Disney California Adventure Parks; One (1) night at the Grand Californian Hotel including parking, Four (4) dinner certificates for Ariels Grotto/World of Color package $250.00, Gift Card for use at the Bibbity Bobbity Boutique in Disneyland for the “Castle Package”. More surprises included; $150.00 Disney Dollars for use at the parks; $50 Gift Card to Build A Bear in Downtown Disney; Disneyland clothing from Company D store; Clothing from Kohls (Frozen themed); Barbie-sized Disney Princess dolls; Stuffed Minnie Mouse; Ariel costume and various Disney themed books & puzzles. Alissia loved her Minnie Mouse and fluffy socks! Thank you to Alison Ornellas, Ken, and Ryanne for making this wish extra special. Brook wished for a 50" TV to play XBox and watch movies. We surprised her with an iPad, Beats headphones, and a GoPro Hero 3 to keep her busy during her transplant along with some clothes and blanket for comfort. Theresa wished for a shopping spree for clothes that fit from her favorite store. We also surprised her with an XBOX ONE, games, extra controller, iTouch, headphones, and accessories. Thank you to Monster for their wish gift for Theresa. Pizza in Buena Park. His entire family joined him as well as an aunt, cousin and his best friend. We surprised him with gifts of an Xbox One, 32 GB iTouch and case along with a new printer with ink. He loves the LA Galaxy soccer team, so we got him a home game jersey, sweat jacket and 4 tickets to their July 16th game against New England Revolution. He also received soccer jerseys from his favorite teams: America from Mexico and Ronaldo from Portugal. We also surprised him with a new twin mattress, mattress pad and protector as well as sheets and comforter set. We wrapped everything in his favorite color of blue. Sergio and his family spent an entire afternoon enjoying pizza, dessert and playing games. Everyone had a wonderful day. Erik wished for a iMac computer with a color printer and camera to help with school and studies. We granted his wish with a new laptop and Microsoft Office, backpack along with a new printer, ink and paper. We also surprised him with a new camera, 16GB memory card and case. We surprised him in the morning at his home with the help of his mom. He was thrilled with all his gifts. We wrapped everything in his favorite color of green. Daniel had a very specific wish list with lots of details. We surprised him with a smart Samsung TV for his room with a Sound bar and TV stand. We also granted his wish for a PS3, controller and Midnight club, burnout paradise games. Nintendo 3DS and Pokémon games with a action replay power saves pro for more surprise fun. We also surprised him with the Lord of the Rings Trilogy DVD’s, Harry Potter Collection DVD’s and Beats headphones that he wished for. The last surprises included gift cards to his favorite restaurants $25 to BJ’s and $25 to Olive Garden. Since his wish list had lots of games listed and our budget didn’t allow us to get everything we gave him a $50 Best Buy gift card and $50 Game Stop Gift Card for him to pick out more games. We surprised him at home with the help of his Mom. He was thrilled with his wish and couldn’t wait to set everything up in his room. We wrapped everything in his favorite colors of red, blue, green & black. Melvin wished for a 60’ TV, 3DS, Xbox One, Legos, iPad, laptop, beats headphones. We were able to get him a 55’ TV , XBOX One with an extra controller and the Lego game. We also surprised him with a iPad mini with a keyboard. We granted his wish as a surprise at his home first thing in the morning with all his brothers supporting him along with his mom. Melvin was quiet but liked his wish gifts. We wrapped everything in his favorite color of blue. Quinn wished for a room makeover with a mini fridge filled with high alkaline water bottles, storage bed and lamp. We granted her wish for bedding dark red or black with floral print with a new queen mattress and storage bed with headboard. We worked about 6 hours redecorating her room and closet. Put up curtains and rod along with artwork on the walls and accessories in her room. She came home in the afternoon and loved her new room. Her new bed with new pillows, sheets, blanket and comforter. She was thrilled with her refrigerator and alkaline water. We had Andy and Noel to translate and communicate with Quinn’s parents. We found out she needed a new mattress and Noel knew a company that gave us a great deal on the queen bed and delivered it an hour later. Rosenda wished for an iTouch, picture printer, Xbox, laptop, TV, and Make-up. We surprised her in the hospital at Rady with lots of surprise gifts. We surprised her with an Xbox One system package, and Dead Rising Game since she likes the Walking Dead TV show and a 32GB iTouch with $25.00 iTunes card. We also surprised her with a new laptop, Microsoft Office, Printer with ink and paper. The biggest surprise was saved for last, a 32” TV for her room. The final surprise was lots of makeup and a case to transport all her new makeup. She was surprised, and really happy with her wish surprises. We wrapped everything in her favorite colors of blue, green & Pink. Sabastian wished for a MacBook Pro. We surprised him at home when he got home from school. We also surprised him with an iPod Nano, Printer, uploaded Office along with the new Xbox and games. Edwin wished for a PlayStation 4 system. We granted his wish with the new system, 5 PS4 games and additional controller. We also surprised him with a iPad mini with cover along with books about the Hobbit and Travel. The last surprise was 2 So Cal Select Disneyland Passes. He was very happy with all his wish gifts. We granted it at his home with all his family present, who cheered as he opened his wish gifts. They were having a party to celebrate Edwin. Sebastian wished for an event with his favorite DJ’s spinning with him and proceeds of event to benefit Rady. We couldn’t make that happen so we asked for other ideas. We surprised him with the help of his family at The Cheesecake Factory in San Diego. We surprised him with a new MacBook and the DDJ We Go 2 so that he could create his own music. The Apple store loaded everything on along with a screen saver of Tiesto his favorite DJ. We also surprised him with a speaker and iTunes card to download his music. They all enjoyed their lunch and cheesecake for dessert. Jacqueline wished for a laptop, TV, beats headphones and iPod. Jeanne the social worker recommended that Disneyland Passes would be something that she really wanted. We surprised her at the hospital with the help of her mom and 2 sisters. We came with lots of gifts including a laptop with Office, iPod Touch with case, TV, Blu-ray player with lots of her favorite Disney Movies with all the princesses. We wrapped everything in her favorite color of green. 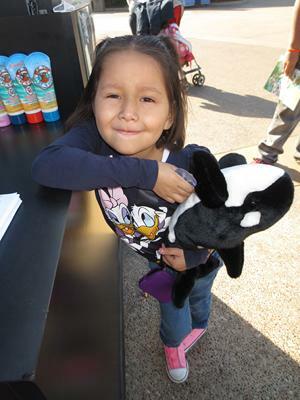 Leileen wished to go to San Diego to go to LEGOLAND and Sea World. We granted her wish at the Paradise Point resort in Mission Bay. Leileen and her family met us at the resort. LEGOLAND donated tickets for the family and Sea World donated tickets for the family as well. We arranged for the first day at Sea World and then the 2nd day at LEGOLAND. We also surprised her with Toys, Bedding, PJs, Swim Suit, camera, TV, DVD player and DVD’. We bought lots of accessories to go with her new princess bedding including her name in foam letters, mirror, princess carriage lamp. She enjoyed opening all her gifts in the hotel room before heading over to Sea World. LEGOLAND was the following day. We wrapped everything in her favorite color of pink & purple. Thank you to LEGOLAND and Sea World for making this wish extra special.